canvasdiscount.com offers the 30x40 inch canvas print for only $35 or Buy two for $60 ​via coupon code "TWO60". Free shipping on orders over $55. Shipping is not included. One order per household. canvasdiscount.com offers Up to 15% Off On All Canvas Print Orders Over $39 via coupon code "MOTHERSDAY39". Exceptions: Shipping not included. One order per household. All prices incl. VAT. Excluding floating frames. canvasdiscount.com offers the 8x8 inch canvas print for only $1.50 or save $10.50 on all other sizes via coupon code "SPRINGMOON". 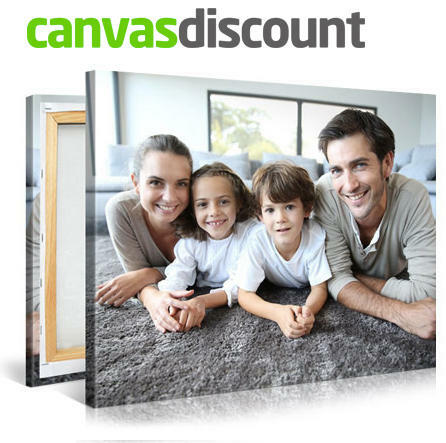 canvasdiscount.com offers the 8x8 inch Canvas Print for $1.50 via coupon code "SPRINGMOON". canvasdiscount.com offers the $10 Off $39 Canvas Print via coupon code "10$MOON". canvasdiscount.com offers the 8x8 inch Canvas Print for $2 via coupon code "LBOKV".